Ever wonder where Santa’s elves live in the U.S. and answer all those letters with wishes for Christmas? 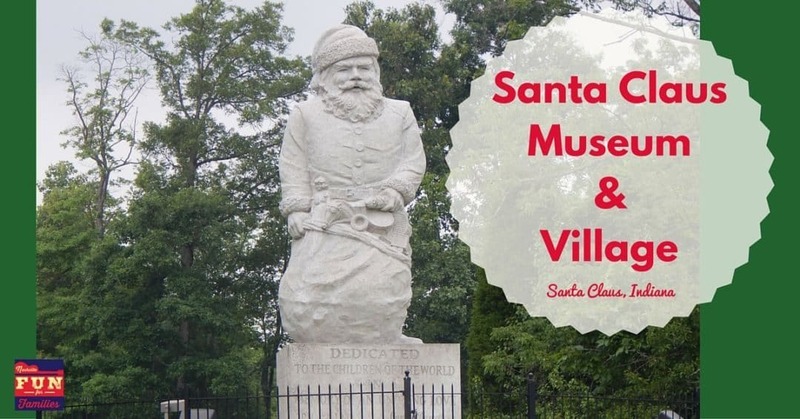 We found the answer – the Santa Claus Museum and Village located less than 3 hours north of Nashville! The small town got its name in 1856 when the U.S. Postal Service turned down its original submission “Santa Fe” because there was already a Santa Fe, Indiana. Legend has it, there was a town hall meeting on a snowy day in December and during the discussion the children heard a faint ring of sleigh bells. Then a big gust of wind blew open the town hall doors and the children all shouted “Santa Claus!”, and everyone thought it was a great idea! As the postal service grew, children wrote more and more letters to Santa Claus. Without an official address at the North Pole, these important letters were all forwarded to Santa Claus, Indiana. Since 1914, these letters have been answered by the elves that live in this special community. The Museum itself is small, but a great place to visit to learn about the town’s unique history. Publicized in the 1930s by Ripley’s Believe It or Not, the town elves suddenly found themselves very busy. You can see a sampling of the letters Santa received decade by decade. It was interesting to read about the wants and needs of children through time. Starting with a request for “underwear” through the more recent letters including one girl that wanted Santa to send her a [eafl id=”52051″ name=”Amazon – hoverboard” text=”hoverboard that doesn’t explode”], it is interesting to see the changes in the culture. My 11-year-old son noticed that the letters that were written before 2000 were mostly in cursive, while more recent letters were printed or typed. We mentioned this to the museum’s director and she said that CBS came to do a story on the museum a few years ago. They asked some kids to read the letters they received back from Santa and they were not able to – they had been written in cursive. So, the elves began to print the letters to make sure their recipients could read Santa’s special messages. In addition to the letter tradition, you can learn all about Santa Claus Land, now known as Holiday World. It was the first theme park in the World, predating Disneyland by 9 years. Started by the Koch family, the park continues to grow and expand. There is also a historic church built in 1880 on the property that is used to host special events including Halloween fun and of course Christmas fun. There is an affiliate link in this article. If you purchase something from the link NFFF.com will receive a small commission.